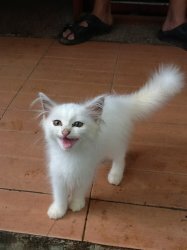 Hi we have some nice persian kittens going at a very reasonable rate. We have many different types of kittens ranging from 6K onwards. If interested, please call on 9833911156.